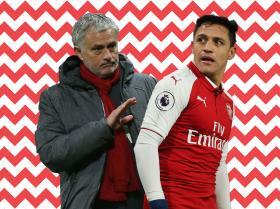 By the time the Manchester United offer became firm on 12 January, Alexis Sanchez’s position was already proving more flexible, because there was an awful lot on his mind. He had a fair amount of weighing up to do. The Chilean’s first choice over the last year had always been Manchester City but, as it finally came to the new year and the new window, he was getting increasingly perturbed by how long things were taking. Their understandable stance of steely patience didn’t quite tally with his impatience to just get out of Arsenal. United were ready to play on that but Sanchez and his representatives were also conscious of the question of when and where he would play on the actual pitch. As much as Pep Guardiola liked him and wanted him, the 29-year-old knew that he would just be one of an array of attackers at City, and could spend more time than he might have wanted on the bench. This, according to everyone who has worked with him, is someone who just loves to play; who just “needs a ball thrown in front of him”. It is someone who Arsene Wenger used to regularly have to talk about constraining to keep him out of “the red zone”. In the red shirt of United, however, he would play as much as fitness permitted. He was also assured he would be the main man. He would be the star. This was key. Jose Mourinho now had big plans for him. Then, of course, there was the big money. That just can’t be forgotten, but also shouldn’t be fixated upon. While United were willing to pay agents’ fees that City (and clubs like Chelsea and Bayern Munich wouldn’t), sources close to the Old Trafford hierarchy dispute some ideas about the figures. 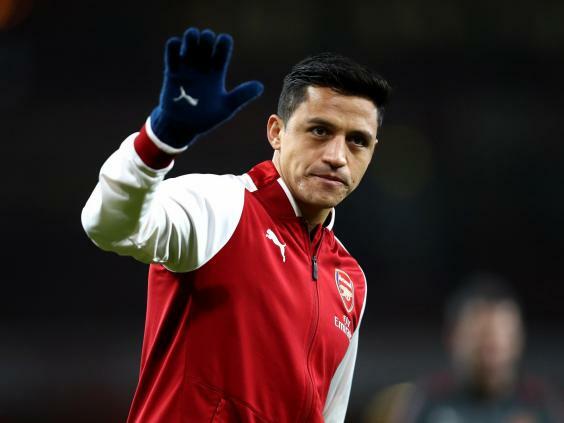 They say Sanchez will be paid on par with Paul Pogba at around £300,000 week, for obvious diplomatic reasons, and that the signing-on fee was not £20m. One thing hard to dispute in the story of this sensational deal is that —according to many accounts — “United could not believe their luck”. There was some surprise this could actually be done. Sure, they had contacted Sanchez’s camp in early September and been given some encouragement as well as quoted figures, and then again in December, but that was really just to find out the lie of the land. Even last week’s pitch was initially seen as somewhat speculative and opportunistic. It was at best an attempt to let it be known that they would be willing to do business if the City deal broke down. The expectation at Old Trafford was still that Sanchez would very likely end up at the Etihad. He was viewed as City’s player. Whatever about United, though, the forward’s representative Fernando Felicevich does not rely on “luck”. Those who know the former rugby player say “he only ever plays with a strong hand of cards”. And there’s no stronger hand in the transfer market than some of the wealthiest clubs in the game vying for your client. Felicevich could now go back to City with a big offer, asking them to match it. The Etihad hierarchy however just decided to take their chips off the table. Having already come to what they felt was a fair agreement on Sanchez before this, there was to be no more negotiations. They were done. There has been a lot of debate and commentary about why City did that, but it really came down to a point of principle — and not over money. 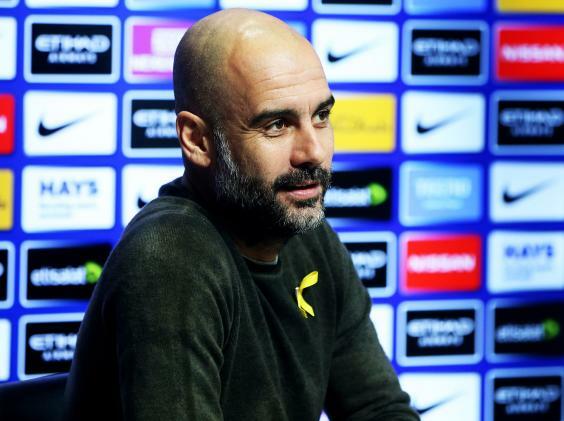 City are well aware of the market’s going rate and will pay when they feel it’s necessary, but Guardiola and Txiki Beguiristain felt it more necessary to make a stand. 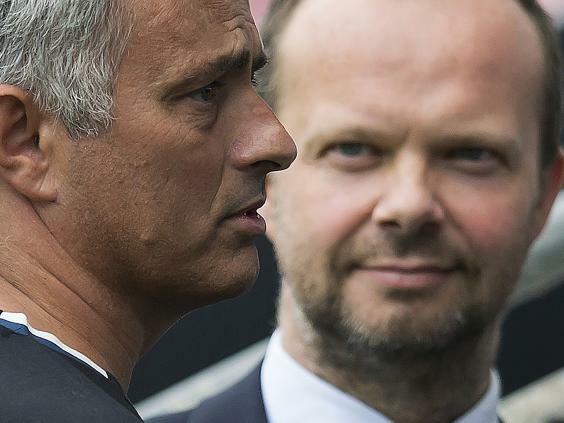 As early as United’s 12 January entry, sources who know the Catalan well were saying that he would just walk away from the deal if there was any sense that it was coming down to money. His view of football is such that he wants players fully invested in his idea. Nor should it be forgotten that Sanchez had some struggles with that idea when they were at Barcelona together in 2011-12. Just as importantly, there was the fact Guardiola and City thought they had an agreement with Sanchez’s people. Then the goalposts suddenly shifted. It would not be a wise move to allow themselves to be brought into another renegotiation, nor would it be wise to meet the kind of demands that could shift their wage structure. That stance was only emboldened by City’s supreme season, and the news that Gabriel Jesus would be back from his 31 December injury sooner than expected. Sanchez was just not needed as much, and certainly not needed enough to bend to his representatives’ will in this way. So City pulled out, United pushed on, eyebrows raised but also excitement raised. They realised this was actually possible. For their part, Arsenal were instantly more favourable to the Old Trafford offer. United were willing to meet their £35m asking price, and that after so much haggling with City, but also willing to offer a player that Arsene Wenger liked: Henrikh Mkhitaryan. Added to that, there is a good relationship between the clubs that goes back a while — and has gone through Robin van Persie’s transfer. Wenger alluded to this on Friday, while taking the opportunity for a swipe at City’s recent growth. The feeling at Old Trafford, now that the deal has finally been completed, is that their team won’t just be respected but more feared. They have one of the most ferocious forwards in the game, who can elevate their game. It will also elevate their transfer plans. Constantly evolving over the last few weeks due to Mourinho’s reaction to events — and leading to the point that they took an initial punt on Sanchez — United had over the next six months wanted a striker, a winger and a star name. The Chilean can solve all of those issues. United can now move onto other issues. Their plans can evolve, and with it the team, one that can now put up a much stronger challenge for the Champions League. That is just another bonus of a deal that, 10 days ago, they didn’t expect to conclude. There might have been some luck there, but that luck came about because they made the attacking move. It fits with Sanchez’s own approach to the game.